HENDERSON, a leader in the sales and service of drilling rigs and capital drilling equipment, has entered into a contract for a major drilling rig refurbishment with Energy Drilling Company. The contract includes the purchase and upgrade of a 2,000 HP drilling rig, an A/C top drive, three 1600 hp x 7,500 PSI mud pumps, a walking system, 30 foot box-on-box substructure and a 1 million lb derrick. It will be the first major rig refurbishment completed at HENDERSON’s new service center and rig yard at 6750 Bender Road in Houston, Texas. HENDERSON is a full-service rig and equipment dealer that specializes in the sales and sourcing of drilling rigs and capital drilling equipment. Based in Houston, Texas, HENDERSON is a supplier of new and remanufactured drilling rigs and equipment to domestic and international drilling contractors. HENDERSON has the capability to buy, sell, trade and repair drilling rig equipment. Founded in 2006, HENDERSON can locate any piece of equipment used on oil rigs from a worldwide network of vendors. For more information, visit www.hendersonrigs.com. 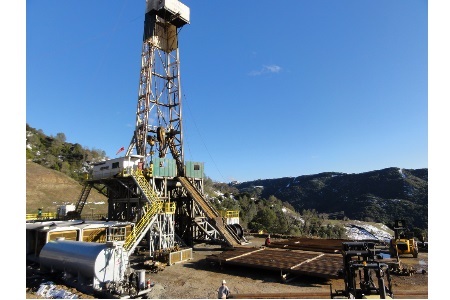 Energy Drilling Company has been a small to mid-sized drilling contractor for 39 years. From 600 HP mechanical rigs in Mississippi, to north Louisiana operations that called for mechanical rigs in the 2000s, to the newer top drive electric rigs, Energy Drilling Company has grown with the market. Currently, Energy Drilling Company operates a fleet of nine drilling rigs in the Mississippi, Arkansas, Alabama, Texas, Louisiana and Gulf Coast Region. Energy Drilling Company has customized rigs that can be used for shallow, vertical and directional wells, as well as, double pipe setters and extended reach horizontal wells. The addition of the 2000 hp Rig #16 to the company’s fleet will continue this movement towards a more modern fleet and expand the company’s drilling capabilities. For more information, visit http://www.energydrilling.com.